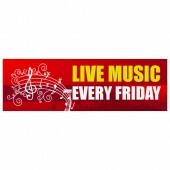 A fantastic way to attract new business and draw in customers is hosting live music or karaoke. 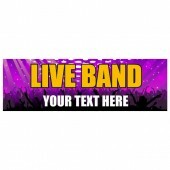 Discount Banners can help you advertise your music events with one of our Music Banners. 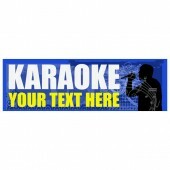 We have a variety of eye-catching, pre-designed Music Banners for you to choose from. If you would like to personalise or adapt one of our Music Banners please contact 0844 800 1020 Our Music Banners are printed in-house using the latest in printing equipment and high quality, eco-friendly inks giving you a stunning, full colour Music Banner with the environment in mind. The banners are available in 8’x2’ or 10’x3’ depending on your needs. 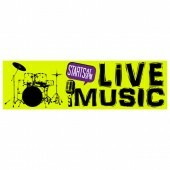 Our Music Banners will be with you 2-5 days after your order has been placed.